Greetings Supporters Of Independent Art: TEN DAYS LEFT TIL' TEN DOLLAR DOWNLOAD ARRIVES. 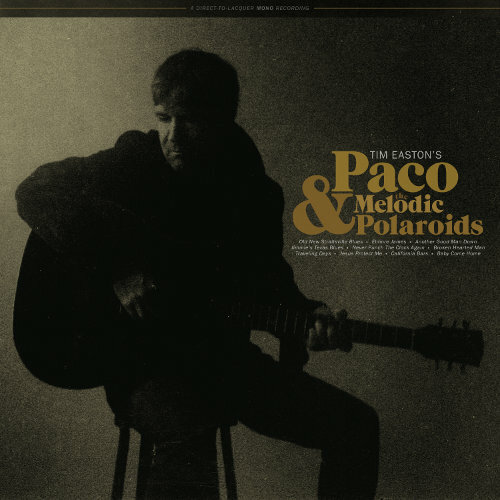 Based on the format on which I recorded this new solo acoustic album, how quickly it came together, and the speed at which the Polaroid photo session was done and subsequent album design, I have titled the new direct to lacquer recording project PACO & THE MELODIC POLAROIDS. The cover, designed by Nashville musician and artist Jeremy Fetzer of FETZER DESIGN; features the POLAROID photography of Abraham Rowe. In ten days, Pledge Music will deliver the DOWNLOAD of these TEN SONGS to all who plunked down the 10 bucks on the ACCESSPASS. I want to say that this is a COMPLETELY INDEPENDENT project, in that I am not investing in any traditional music business megaphones to help get the word out, but in fact I could not do this at all if it weren't for you. Because of you, Campfire Propaganda can continue on in it's ever changing, ever evolving mission to travel the world, playing songs. This album is a snapshot love letter of sorts to my Black Gibson J-45 Acoustic guitar, named "Paco" by a Deadhead in Paris. I have now played this guitar for 30 YEARS! Thanks for doing what you do on Social Media to help me spread the word of this special album. The link to get the download is https://www.pledgemusic.com/projects/tim-easton-bristol-sessions It takes just a few minutes and the album will show up via email in on November 17th.